Are Amazon, Walmart, and eBay’s online ‘marketplaces’ providing a refuge for goods made with forced labor? 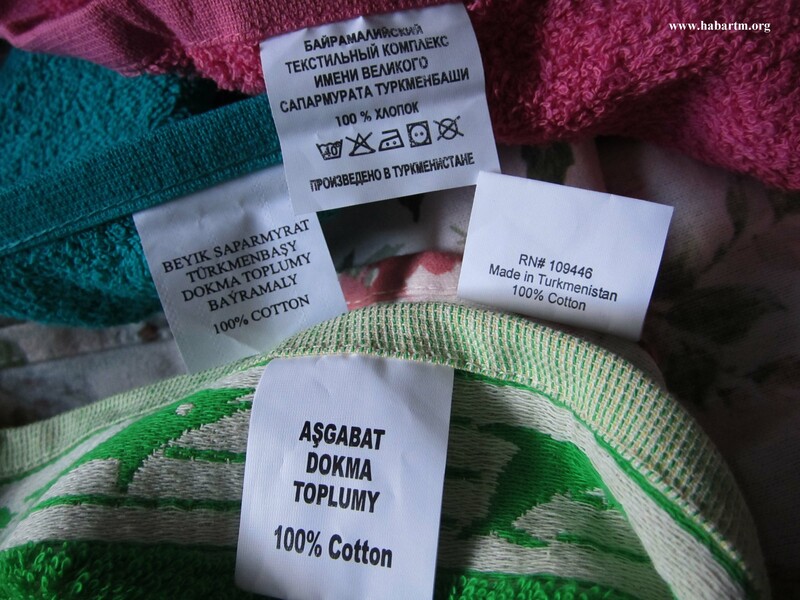 Last month, while browsing online, we were surprised to find that we could buy cotton hand towels advertised as “made in Turkmenistan” on the websites of Amazon, Walmart, and eBay. 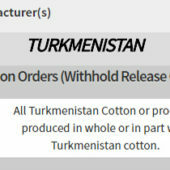 In May 2018, U.S. Customs and Border Protection (CBP) took the extraordinary step of exercising its authority under the Tariff Act to ban the import of any products containing cotton from Turkmenistan due to the country’s systematic use of state-sponsored forced labor during the annual cotton harvest. 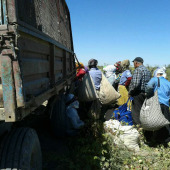 Each fall the Turkmen government “mobilizes” (read: forces) hundreds of thousands of Turkmen citizens to pick cotton during the annual cotton harvest, including doctors, teachers, and even children. Citizens and reporters who have sought to document these abuses have been imprisoned, denied counsel, and tortured. CBP’s import ban was widely covered in the media and helped drive over 45 multinational companies (including Adidas, Gap, H&M, and Marks & Spencer) to sign a public pledge not to knowingly use Turkmen cotton in their products. So if Turkmen cotton is banned from the U.S. market and shunned by major apparel brands, how are Amazon, Walmart, and eBay getting away with it? The short answer is that none of them are directly importing or selling the towels, but instead allowing “third-party sellers” access to their e-commerce platforms in exchange for a cut of the sales proceeds. On all three platforms, the actual seller is Goza Towels, a small Virginia-based company whose website boasts that it supplies towels, bed sheets, and fabrics made with 100 percent Turkmenistan cotton to major retailers and hotels. 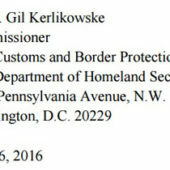 When we met with CBP to inform them of the possible Tariff Act violation, they promised to investigate to determine how and, more crucially, when Goza had imported the towels and other products made with Turkmen cotton. They noted that it was possible that the company imported the towels before the ban and is merely selling off a backlog of inventory. Yet, even if the goods came in before the ban and are legally in the United States, that doesn’t answer the larger ethical question of whether Amazon, Walmart, and eBay should allow products made with forced labor to be sold on their websites and profit (via commissions) from those sales. After being contacted by a Thomson Reuters Foundation reporter, Amazon responded by immediately removing the towels and several other “100% cotton” Goza products from its website, while leaving other items up. By contrast, Walmart and eBay continue to allow Goza to sell the towels on their websites and have deflected questions about forced labor to Goza as the third-party seller. Walmart and eBay’s evasions are disappointing given that they already require third-party sellers to comply with various rules and policies in order to gain access to the marketplaces. For example, all three platforms prohibit the sale of counterfeit goods and have invested considerable resources into enforcing the prohibition with well-publicized crackdowns on sellers who peddle fake merchandise. What should the retail giants do to ensure that their online marketplaces aren’t refuges for products made with forced labor? At a minimum, they should update their existing “prohibited products” policies to expressly prohibit the sale of products made with forced labor, actively monitor their marketplaces for the presence of goods at high risk of being produced with forced labor, and enforce the prohibition by removing products and banning serial offenders. 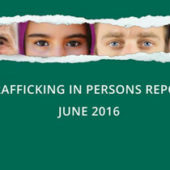 The U.S. Department of Labor List of Goods Produced with Child Labor or Forced Labor provides a good place to start for identifying products that may be tainted by forced labor, with profiles of over 148 goods from 76 countries. Beyond the goods sold in their marketplaces, Walmart and Amazon should sign the Turkmen Cotton Pledge and investigate the supply chains of their own private label goods, which have been linked to cases of forced labor, human trafficking, and other forms of modern slavery. If Amazon, Walmart, and eBay can spend resources to ensure their customers aren’t unwittingly purchasing knock-off sunglasses, surely they can do more to clean up their supply chains and keep their marketplaces free of goods made with forced labor. *Any views expressed in this article are those of the author and not of Thomson Reuters Foundation.